Prime Minister Narendra Modi congratulated ISRO and described Wednesday's launch as a "monumental" accomplishment. Of the 19-satellites, 12 are earth imaging “Dove satellites” of USA and another American satellite. Setting a record in its space programme, India on Wednesday successfully launched 20 satellites, including its earth observation Cartosat-2 series, in a single mission on board ISRO’s workhorse PSLV-C34 from the spaceport in Sriharkota, Andhra Pradesh. In a precision launch, PSLV-C34 took off from the second launch pad of Satish Dhawan Space Centre, about 110 km from Chennai at 9.26 AM and placed the Cartosat-2 Series and 19 others in the designated polar Sun Synchronous Orbit (SSO) about 30 minutes later in clear skies. WATCH VIDEOS | ISRO 20-Satellite Launch: What’s The Big Deal? The 727.5 kg Cartosat-2 series satellite will provide regular remote sensing services with its panchromatic and multispectral cameras and its imagery will be of multiple use. Of the 19-satellites, 12 are earth imaging “Dove satellites” of USA and another American satellite. The rest are from Canada (two) and one each from Germany and Indonesia. Two academic satellites are from Sathyabama University (Sathyabamasat) in Chennai and from College of Engineering (Swayam) at Pune. Use of Cartosat 2 includes cartographic, urban and rural applications, coastal land use and regulation, utility management like road network monitoring and water distribution. Also, creation of land use maps, precision study, change detection to bring out geographical and man-made features and various other Land Information System and Geographical Information System applications can be done. It is similar to the earlier Cartosat-2, 2A and 2B. Prime Minister Narendra Modi congratulated ISRO and described Wednesday’s launch as a “monumental” accomplishment. “20 satellites in a go! @ isro continues to break new barriers. hearty congratulations to our scientists on the monumental accomplishment’, he said on Twitter. “We have the current generation of earth observation satellite of Cartosat 2 series,” he said, adding ISRO had done a “wonderful job”. P Kunhikrishnan, Director, SDSC-SHAR, said that it was a major accomplishment by PSLV in its 35th consecutive successful mission. “PSLV has become a success symbol for ISRO and India. 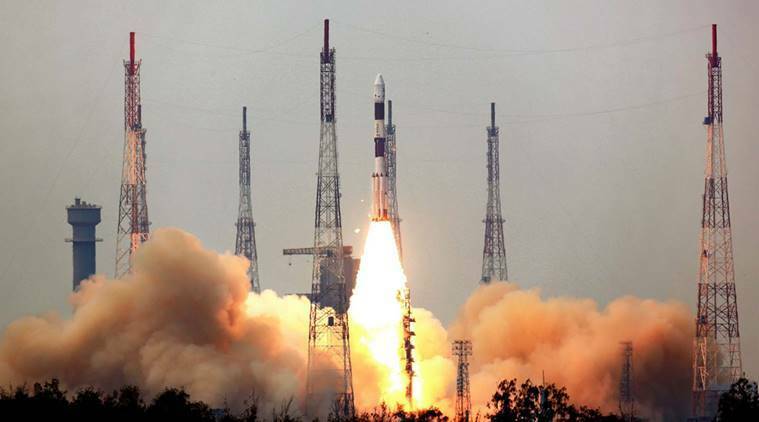 ISRO is adopting more and more professionalism,” he said. With Wednesday’s launch of 20 satellites, PSLV beat its 2008 record when it placed in orbit 10 satellites in a single launch into various Low Earth Orbits. This is the 14th flight of PSLV in “XL” configuration known for its capacity to carry more load which uses ‘solid strap-on motors’. The total weight of all the 20 satellites carried onboard PSLV-C34 is about 1288 kg. India has 11 operational earth observation satellites, including RESOURCESAT-1 and 2, CARTOSAT-1, 2, 2A, 2B, RISAT-1 and 2, OCEANSAT-2 are in orbit. Beginning in 1988, ISRO had launched many remote sensing satellites (for earth observation) and the data are for varied use including agriculture, water and ocean resources besides disaster management.